Postcard US-3972061 to Germany was the 1000th card sent from my PostCrossing account twimbk. 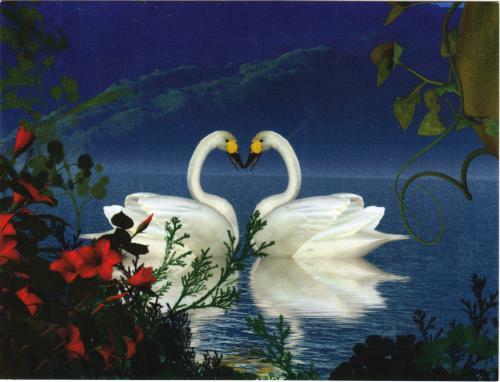 It shows a pair of swans forming a heart symbol with love. Swans (天鵝) are birds of the family Anatidae (鴨科) within the genus Cygnus. The geese and ducks are swans' friends close relatives. A previous copy was sent to Russia as US-3284982 under another account. 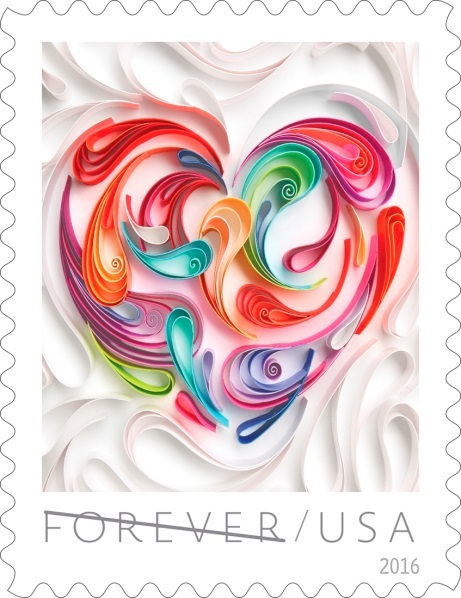 USPS issued the Quilled Paper Heart Forever stamp at Dallas Love Field in Dallas, Texas on January 12, 2016, as the 44th stamp in its Love stamp series. The heart on the stamp was created using the ancient art of quilling by rolling and shaping narrow strips of paper, laying them on their edges, and gluing them in place to form intricate designs.